The ES4 KickScooter kicks the ES2's performance up a notch delivering more speed and enhanced range while still being fold-able, light, and portable. It caters to commuters and recreational riders looking for an extra edge. 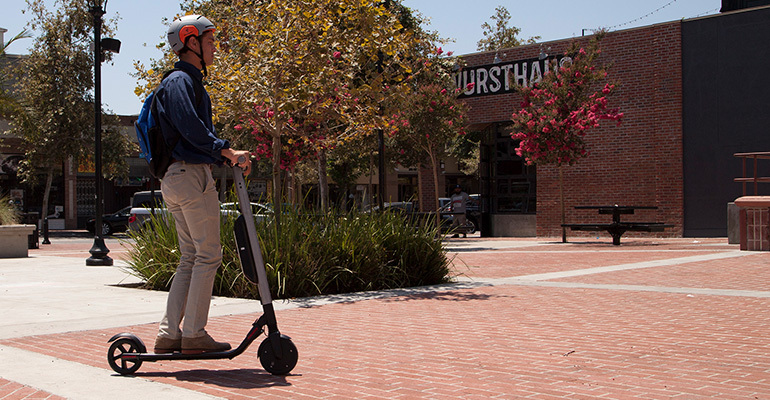 The Ninebot KickScooter by Segway (ES4) can go up to 19 mph and travel up to 28 miles*. Its rear shock absorption ensures a comfortable ride and the customizable ambient and rear lights are not only fun, but allow riders to be seen in low light. 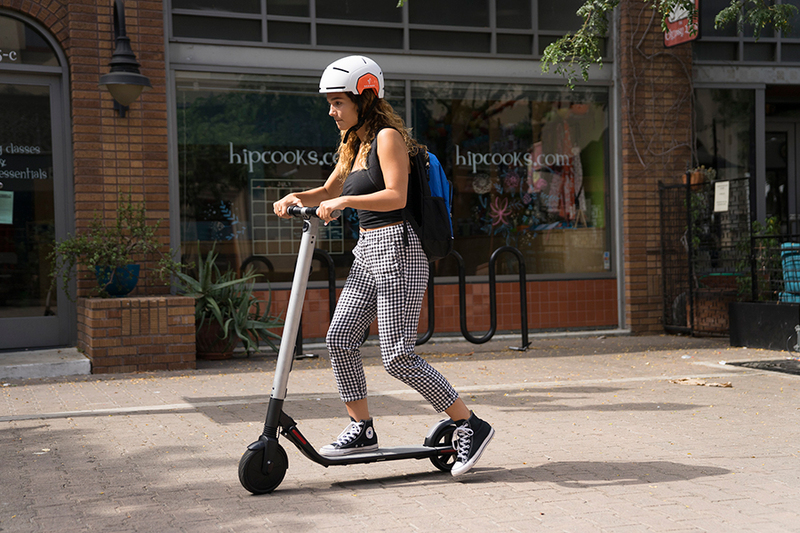 The Ninebot by Segway KickScooter ES4 accelerate to 18.6 Mph, has front and rear wheel shock absorption and solid tires, which allow for maximum rider comfort. With the help of the customizable ambient lights the vehicle is stylish and visually appealing. The vehicle weighs only 36 lbs and when folded it can easily be stored in a car or carried on public transport.